Summary: A recent survey of compliance officers provides insight for your next regulatory exam. The Beastie Boys are credited with coining the terms mullet and mullet head. This short in front and on sides but long in the back haircut is certainly something to behold. So, we wonder how you feel about it. Well, if you live in the small town of Kurri Kurri, Australia, you most likely will be celebrating the mullet and proudly wearing one. The town has a festival with a contest for the best everyday mullet, the best grubby mullet and then of course, the best women's mullet. You may not be incentivized to be creative with your next haircut, but it might be something to think about if you are traveling down under. 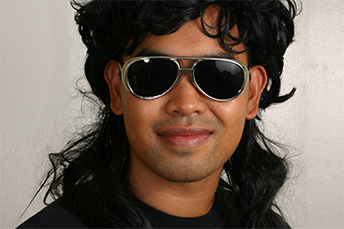 At your bank's next regulatory exam, you're not likely to see any mullets. Instead, you are more likely to see increased scrutiny, especially around BSA and AML. That's one of the overall findings of a recent survey conducted by ARC Risk and Compliance, a consulting company specializing in anti-money-laundering (AML) compliance and technology. The survey's typical respondent is a BSA/AML/OFAC compliance officer at a retail and/or commercial community bank. The bank typically has a state charter, assets of < $1B, a medium risk rating, and FDIC insurance. The survey found that at the respondents' most recent regulatory exams they felt that examiners focused most on BSA/AML. Here, transaction monitoring was the biggest concern, followed by Know Your Customer (KYC)/Customer Due Diligence (CDD), and then Enhanced Due Diligence (EDD) closely behind. That's in contrast to the responses from a similar survey in 2015, when most respondents said model management was the emphasis for regulators. Retail is considered risky, so respondents said they saw a disproportionate amount of regulatory scrutiny on their retail operations. In addition, the overwhelming majority of survey respondents thought examiner scrutiny had increased overall since the last exam. Interestingly, despite the focus, the typical respondent received 1 to 4 suggestions and verbal recommendations, 1 or 2 observations, and no Matters Requiring Attention (MRAs) or Matters Requiring Immediate Attention (MRIAs), though a small subset of banks got 1 or 2 MRAs. In 2015, banks were more than 3xs as likely to have MRAs as in 2017. Additionally, it seems that either regulators are identifying smaller problems or banks are getting faster at making the changes regulators request. After the 2017 examinations, most of the bankers said it took around a month to fix everything that regulators identified as issues. Two years earlier, bankers reported that the fixes took longer: about three months. Between 2015 and 2017, there was another change: banks got better at using in-house resources to address the issues examiners identified. Most banks (75%) used mostly external resources, including CPAs and attorneys, to address the issues examiners found. But in 2017, the numbers flipped, with the largest group of banks using 75% internal resources and 25% external resources to make necessary changes. When banks did employ external resources, they were most likely to get help from a consulting firm that specializes in AML work, rather than from a CPA or attorney. BSA/AML is definitely of high priority for the regulators, yet banks seem to be more prepared now than a few years ago. Stay focused, follow the guidelines and continue to manage your compliance well and you will find yourself in good standing at your next examination, regardless of your hairstyle preferences. Bain research finds Amazon could be the 3rd largest US bank if it wanted to do so, capturing 70mm customers over a 5Y period. One interesting note is that 25% of people who use Amazon Alexa say they would consider using the company for everyday banking if it were offered. FedFis research finds that as of 2017 the bank core processor market share was: Fiserv (37.1%), Jack Henry (17.6%), FIS (16.6%), CSI (6.6%), Finastra (5.1%) and Other (16.9%). That means the top 3 control over 71% of the market. 1) RCB Bank ($2.8B, OK) will acquire Central Bank and Trust Co ($323mm, KS) for an undisclosed sum. CNBC reports the SEC is investigating the cryptocurrencies market, including initial coin offering structures, and has subpoenaed information from technology companies and cryptocurrency advisors. The City of Los Angeles is reportedly seeking to launch its own public bank to provide small business loans, finance affordable housing and support marijuana businesses. Meanwhile, some legislators in the state of Washington have also tried to introduce bills to form a state bank.